Right from the moment we are born, the stories we are told help us to learn right from wrong and interpret the world around us. Growing up, our parents read us fairy tales before we go to sleep, and then we learn to read them for ourselves. Some stories leave a more lasting impression than others. 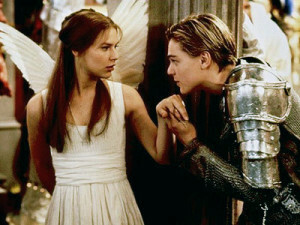 They captivate us, and become so engrained in our consciousness that they gain popularity and go on to become classics. Long after we have placed the book back on its shelf, the story continues to resonate. Think of your favourite book. How many times have you reread it, and what is it that keeps drawing you back? Some stories, and some writers, just get it so right the first time. It’s not surprising, then, that over the years there have been many writers who have revisited these classics and revamped them for modern audiences. If something works, after all, why mess with it? Here we look at some of those modern re-tellings. His works have been modernised for film too many times to mention. The Taming of the Shrew became 10 Things I Hate About You in 1999 (Heath Ledger, Julia Stiles), and Twelfth Night was later re-adapted into She’s The Man (with soccer-mad, cross-dressing Amanda Bynes, and introducing Channing Tatum). Romeo & Juliet was given an absolutely nutso retelling in 1996 by Baz Luhrman, which saw the rivalry between the Montagues and the Capulets turn into an all-out gang war (starring Leonardo diCaprio and Claire Danes). The story was also adapted to West Side Story. And let’s not forget Gnomeo and Juliet! Check out any list of classic novels, and the works of writer Jane Austen will be sure to make the top ten. One of the most loved writers in English history, Jane wrote just six novels in her time, but those six all went on to be listed among the most popular classics in literature. Jane gave us Pride and Prejudice, Sense and Sensibility, Mansfield Park and Persuasion… not to mention written perhaps the most swoon-worthy characters in English literature: Mr Darcy. The best-loved of her novels, Pride and Prejudice has been adapted for modern audiences many a time, with the most famous example being Bridget Jones’ Diary. Set in modern-day Britain, the story follows the dating woes of Bridget Jones (a publishing assistant at Pemberley Press). Will she choose the dastardly Daniel Cleaver (Mr Wickham), or barrister Mark Darcy (guess who)? Pride and Prejudice has also seen retellings such as Bollywood film Bride and Prejudice, and novel Pride and Prejudice and Zombies (in which Lizzy and Darcy, surprise surprise, fight off a zombie apocalypse). There’s even been a YouTube adaption called The Lizzie Bennet Diaries, in which young Lizzie Bennet documents her life through blogging and social media. Another of Austen’s novels, Emma, formed the basis for the film Clueless (starring Alicia Livingstone). One of the most well-known characters in classic literature, detective Sherlock Holmes has been solving crimes since his first appearance in 1887. Sherlock’s adventures (as written by Sir Arthur Conan Doyle) have been adapted for film and television countless times. 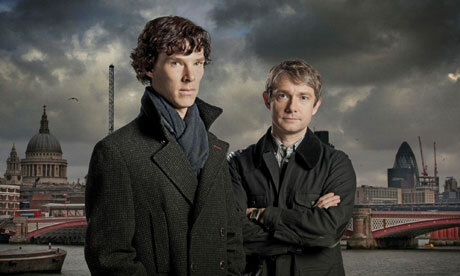 In recent years, though, there has definitely been a massive surge in modern adaptions featuring the famous detective. There’s been the 2009 film starring Robert Downey Jr and Jude Law, along with current TV series’, BBC’s Sherlock (with Benedict Cumberbatch and Martin Freeman), and Elementary (Johnny Lee Miller and Lucy Liu). Looks like the British detective won’t be hanging up his hat any time soon. 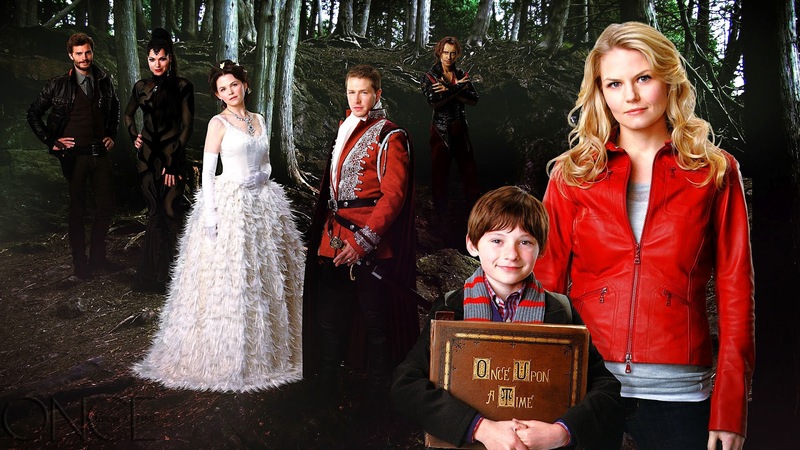 Just as we’ve seen a lot of Sherlock lately on our screens, there’s also been a massive wave of TV shows that play on the fairy tale- Once Upon a Time and Grimm being examples. In Once Upon a Time, an evil queen places a curse on all the fairy tale characters, which sees them thrown into the real world (to a town called Storybrooke) with no memory of who they really are. Meanwhile, Grimm looks at the darker side of fairy tales. Inspired by the tales written by the Brothers Grimm, Grimm imagines what our world would be like if the evil characters from the stories actually existed. It’s a crime show like CSI, and follows a homicide detective who hunts these characters down. This follows a recent growing trend in movies where the fairy tales we know and love have been adapted into darker retellings. For example, just think of Snow White and the Huntsman, Red Riding Hood, or this year’s Hansel and Gretel, which sees Hansel and Gretel become bounty hunters who track and kill witches all over the world. But then after all, the original stories were quite dark. So, what is it about the classics that we can’t get enough of? Through stories we meet fascinating characters, visit faraway places, and go on all sorts of amazing adventures… but it’s the things we learn about ourselves while reading that keep us coming back time after time, read after read. We all want to find love. We all want to see the baddies get what they deserve. We all want to believe that, when tested, we can be as strong, as resourceful as our heroes. We all want our own happy ending. Between the pages of a novel, anything is possible. Story originally published in Blaire Magazine.